The weather was so sunny yesterday I really wanted to make something equally cheerful to decorate our mantle. This is the simplest craft and I feel a little silly writing about it on my blog. However, the results are so pretty I had to share. 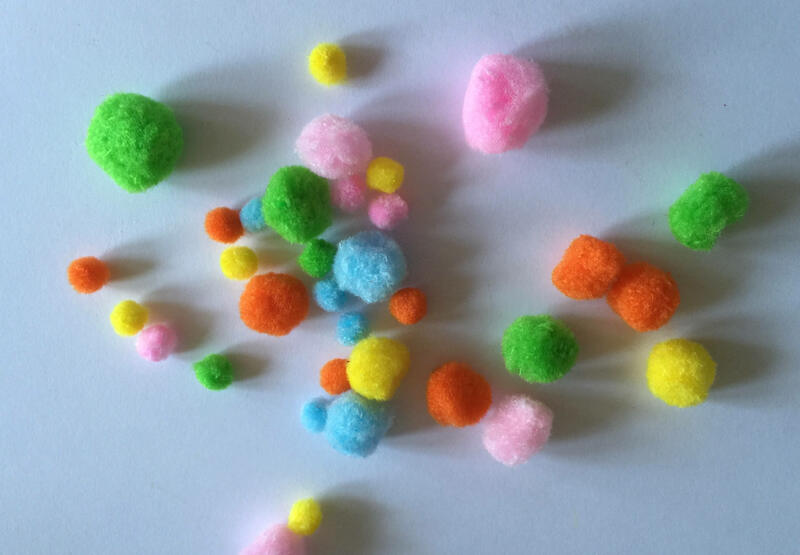 I had a bag of pom poms from Baker Ross which had a selection of blue, green, orange, pink and yellow, perfect for creating a fun Spring decoration. I used the small and medium sized ones as I was making a decoration for my mantle. 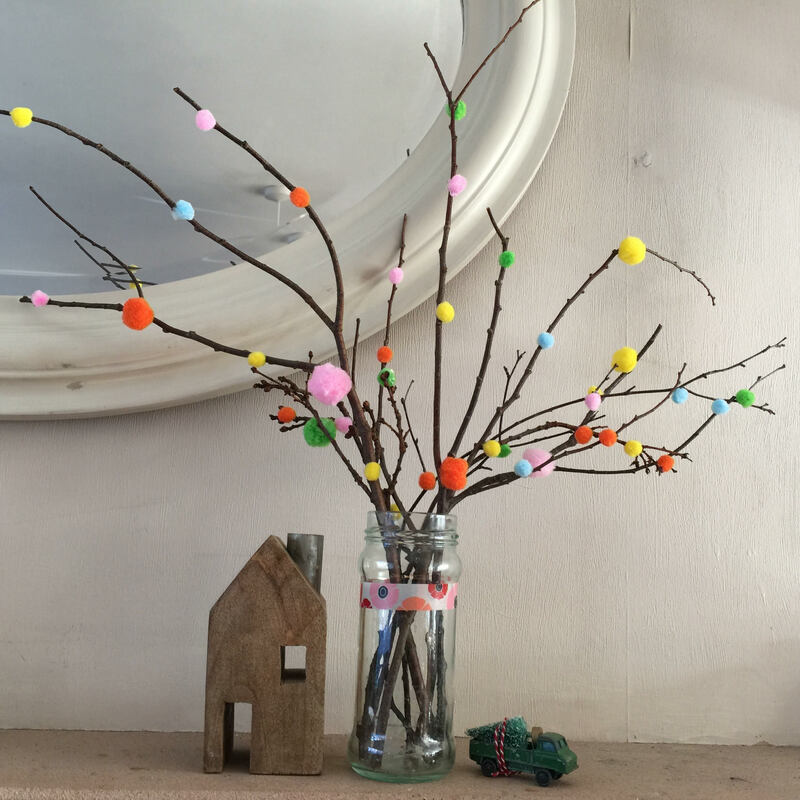 I placed a selection of twigs in a jam jar then attached the pom poms to the twigs with Sticky Dots. Ensure each twig has pom poms at regular intervals. The great thing about the Sticky Dots is that they are transparent so you can’t see the glue. 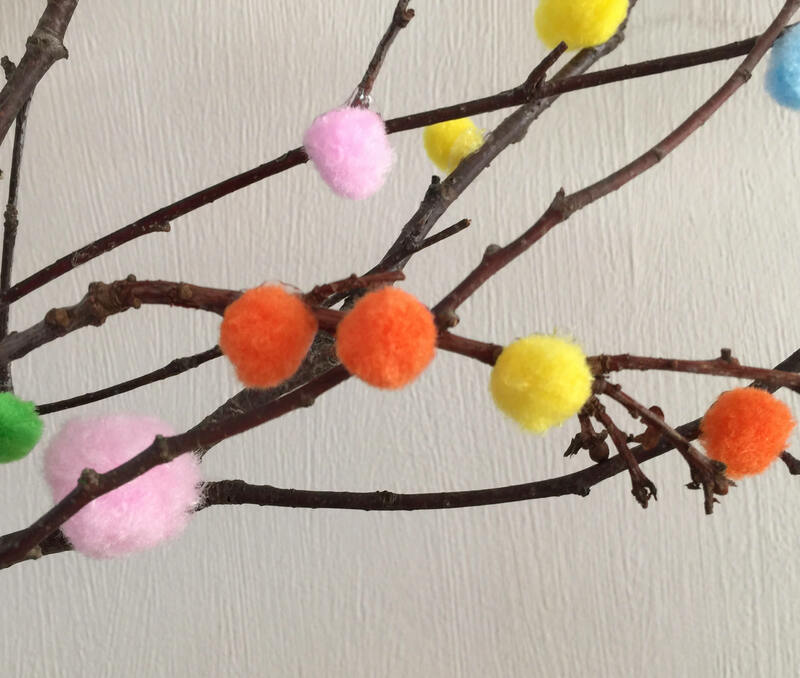 You could also use a glue gun or even stitch them on with a couple of stitches through the pom pom and around the branch. The result is simple but striking. 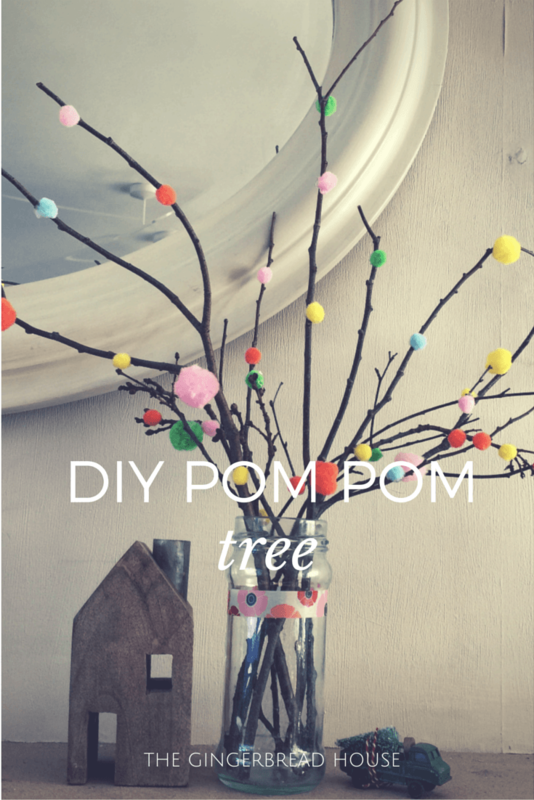 I love our Spring pom pom tree and I can’t believe how cheap and easy it was. Let me know if you make one! Me and my mum do a branch tree every Easter. I usually make wool pom poms but these are such lovely colours I might have to add them to my collection. looks fantastic and cheerful! thanks so much for sharing on craft schooling Sunday! Simple and yet striking and effective – my girls would love to make something like this! LOVE this idea! Love pompoms! Love the colours of the pom poms.